MFMA Development Sdn Bhd, a joint venture between Mitsui Fudosan and Malaysia Airports Holdings Berhad (Malaysia Airports), has launched Mitsui Outlet Park KLIA Sepang (MOP KLIA Sepang). This marks a milestone in Malaysia’s transformation to becoming a major shopping destination in Southeast Asia and aims to boost Kuala Lumpur’s appeal as a transit hub and shopping destination to more than 27 million international and regional travellers who land in Malaysia each year. Tan Sri Dato’ Sri Wan Abdul Aziz Wan Abdullah, chairman of Malaysia Airports, said the move was in line with Malaysia Airports’ vision to be a global leader in creating airport cities and said the development of KLIA Aeropolis was one of the major catalysts in the achievement of this vision. “We are certain that not only will this vision benefit the group, but our nation in general,” he said. The project is also set to provide more than 1,800 employment opportunities by the end of this year. MOP KLIA Sepang features a unique “paradise village” design concept with four nature-inspired zones – the Sunshine Square, Pier Walk, Tropical Plaza and Beach Walk – to evoke a tropical feel. The mall has 127 outlets and claims to be “Malaysia’s new shopping paradise where luxury meets affordability”. 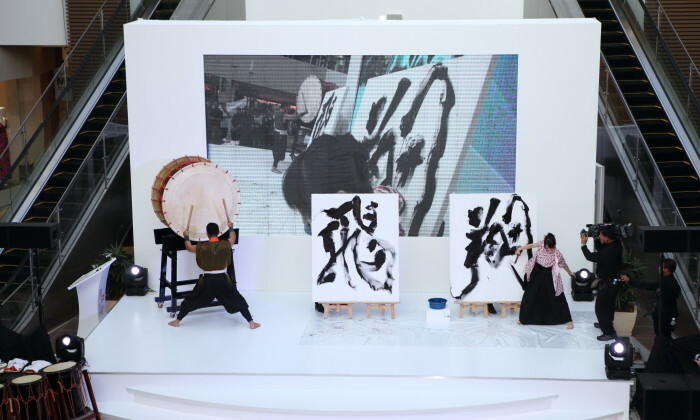 MOP KLIA Sepang will also enrich the shopping experience for regional and international travellers who visit and transit via Kuala Lumpur by offering them a taste of both Malaysian and Japanese culture, and is a stone’s throw away from the airport. The outlet mall also boasts a flight check-in centre which is a dedicated service for travellers that adds a new dynamic to the regional traveller’s layover experience. MOP KLIA Sepang also features a flight check-in system and flight information displays within the premises of the outlet mall. 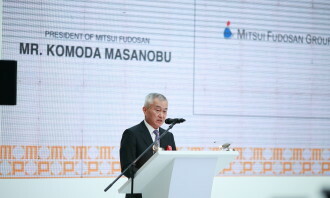 Masanobu Komoda, president and chief executive officer of Mitsui Fudosan, said: “We will unite the Malaysian culture and needs with our Japanese style of hospitality, and we will strive to operate Mitsui Outlet Park KLIA Sepang to be an attractive and safe destination complemented by comfort and convenience. Malaysia marketing head Amelia Lim takes on a communications role. ..